Planning A Winter Birthday Party For Your Kid Is Planning a Girl Birthday Party Getting Too Competitive? What with Toy Story 3 upon us soon, what better for a girl birthday party or boy birthday party, than a Toy Story Themed Party. I bet this is something the Mums and Dads will enjoy as well!. You then have to break the party down into segments according to your toy story party ideas; the invitation cards, the party decorations that will adorn the venue, the food (including the cake and drinks etc), the party games, the gifts and then any other fillers. After getting the segments right, it will be time to plan each of the segments to fit into the general theme. I always advise a two character theme in order to minimize costs. Of course, these will the two most popular characters; Woody and Buzz Lightyear. 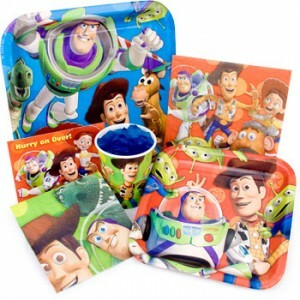 If however, you have a very large budget for the toy story movie party supplies, you can always expand the number of characters to add more spice to the birthday party.